you will have done your research on the franchisor, the local market opportunity, etc. you will have business experience - experience in sales, management, marketing and human relations can be invaluable. Even if you do not have all of the skills listed above, you can still be successful. Every franchise company will have its own view of an ideal candidate. Some franchise opportunities require industry experience and others require additional skills. Franchisees aren't entrepreneurs in the classic sense. They are provided with a system of doing business and standards for using that system. The secret of success for most franchises is that customers cannot tell whether a location is company-owned or franchised based on the product or service offered or its quality standards. It's the promise of consistency that drives customers to a franchisee's door. A great franchisee improves the performance of the system simply through better execution and not by offering a different product or service. Therefore you need to make sure that you are able to strictly follow a proven system in order to provide that consistency. This means following the directions of the franchisor even when you think you know a better way. Accepting coaching and advice from the franchisor on how to operate your location. Not experimenting with your products and services. Using the franchisor provided marketing materials. Work with the franchisor and others in the system to make decisions. Share confidential information, allow inspection by franchisor staff and listen to their advice. If you feel this is too restrictive, you should reconsider becoming a franchisee. are you needing to create sufficient income for your essential outgoings? are you wanting to make a social impact in a particular area? are you interested in a particular passion/focus e.g. sport? are you in this for the long-term? Answering these will help you select the types of franchise to investigate further. are you purchasing the franchise alone or with family/partners? how much money do you need to earn and by when after the start of the business? To answer the last question, you need to understand how much money you will need to take out of the business in order to live. This may be less than your current salary with a current employer. Prepare a full list of your personal expenditure: mortgage, hire purchase, household bills, and so on. What is essential? What can be dropped? What about an allowance for unexpected bills? Banks will normally expect the franchisee to contribute at least 30% of the total cost of the franchise; this contribution should come from your own resources. However, there may be finance under the Government's Enterprise Finance Guarantee, if your business is eligible. This is a Government backed scheme to guarantee 75% of borrowing (for both businesses under and over 2 years established) where security is not available and where that lack of security is the only bar to a bank lending the money. Having assessed your abilities, interests and finances and still wanting to proceed, you will now be in a position to identify one or more franchises that could be of interest to you. Having got a shortlist, you need to find out more. A franchise comes with risk. How can you assess this risk? is there a demand for the franchisor’s products or services in your area? what’s the level of competition—nationally, regionally, and locally? does the product or service generate repeat business? how easy is it to get new customers to make up for old customers going elsewhere? how recognisable is the brand and its product or service? could you be dealing with a fad? could new technology/online platforms undermine the product or service? are there potential new regulations or cost elements that could rise above inflation that change the business model? does the franchise require technical experience or special training or education? are you passionate about the product or service? does it fit your hours available? does the investment required fit your means? To find out some of the answers above, you should have some informal chats with current franchisees if possible. Some of the above questions may only be answered more fully once you have contacted a franchisor. A useful technique are SWOT and PEST analyses. These analyses are useful to help you think about issues you may have overlooked and/or reinforce your decision. A SWOT analysis means looking at the Strengths and Weaknesses of an organisation and the Opportunities and Threats that face it in the future. Strengths and Weaknesses are essentially internal issues and usually Opportunities and Threats are external. A PEST analysis looks at the Political, Environmental, Social and Technological aspects of an organisation e.g. will a change of regulation radically change the business model, is technology going to undermine the product or service? 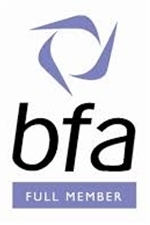 To help you further, we recommend attending a British Franchise Association (bfa) seminar for prospective franchisees. These are held very frequently at various locations around the UK. More details here.